I've been experimenting with this new technique (new for me). I soak a 5 x 7 piece of watercolor paper overnight in either coffee or wine and then let it dry. I then ink in my drawing and color it with Prismacolor colored pencils....loving the results, fun, fun. This is a lovely butterfly with such colorful wings, I would love to see such a beautiful butterfly, but for now it has fluttered out of my mind and into an art design. 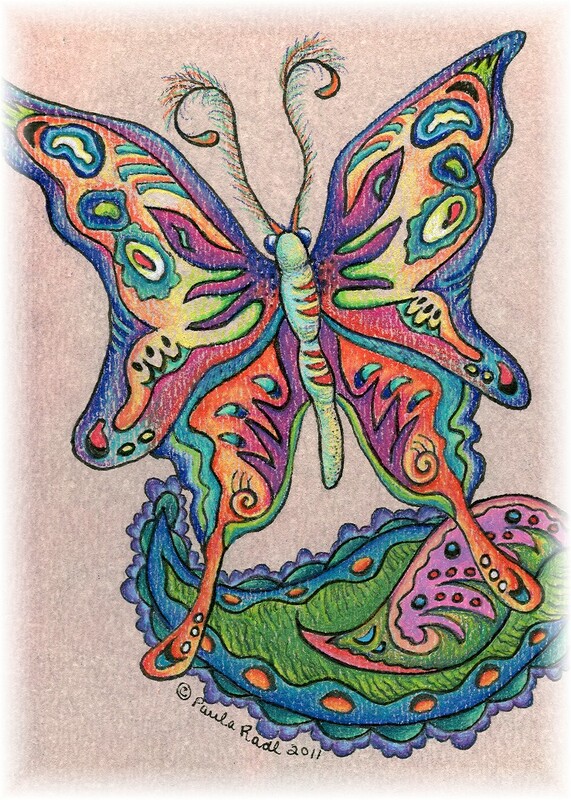 This design I summited to Illustration Friday for the weeks topic of "Wings"
Beautiful ! Love the colors!